Over the course of the last few years B.L. 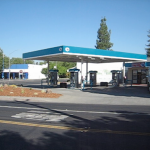 Griffin Co., Inc. has completed a variety of construction projects throughout Northern California including: Gas Stations, Emergency Generators, and Commercial Facilities. 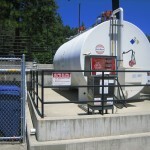 B. L. Griffin Co., Inc. offers a full line of Air Quality and Environmental Testing including Tank Monitor Systems Re‐Certification. All of our technicians are fully certified and are continually attending classes to further our education in the field. Our technicians also have the ability to make most repairs during the testing process. This means no additional return trips for repairs and no cost over‐runs. We also take care of all field reports and provide them to the implementing agency. B.L. 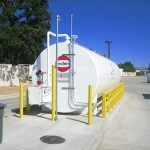 Griffin Co., Inc. offers a wide variety of maintenance services. Click "read more" to see a list of all of our services or give us a call to schedule service. We are available 24 hours a day for service calls. B. L. Griffin Co., Inc. was established March 1987. For the first five years the main focus was construction of Service Stations and Commercial Fuel Facilities. 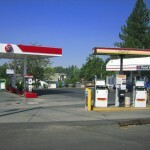 In 1991 we acquired a Service Station Maintenance Company and relocated to our current location. We have recently added Environmental and Air Quality Testing.